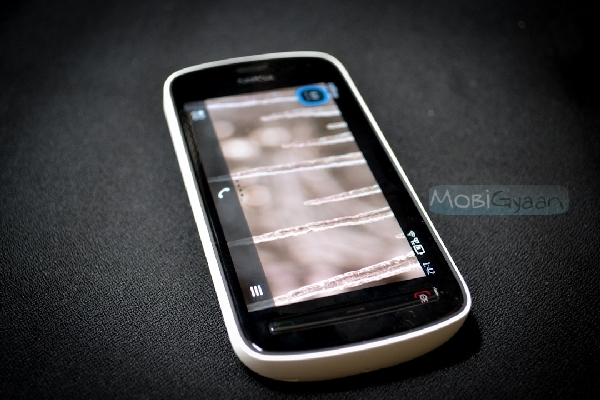 In our Review Part I of the Nokia 808 PureView, we have clearly established that this mobile has the best camera capabilities amongst the others out there. Well, at the end of the day, a phone is a phone. 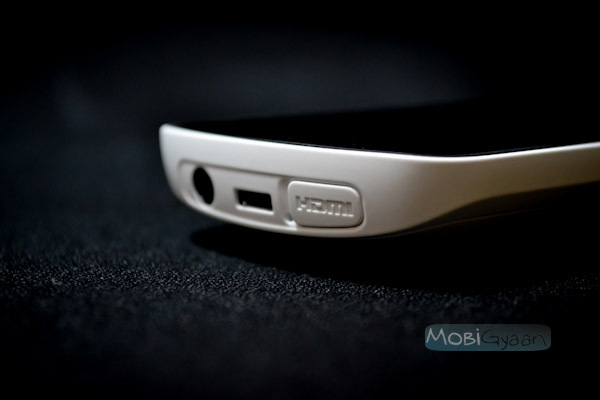 Now let us check the Nokia 808 PureView as a smartphone and review it from other angles. Some early bird purchased would get the hard casing with camera protecting cover. The Nokia 808 PureView weighs almost 170g. It’s heavy but feels solid and sturdy. The material used is poly-carbonate. The feel is metallic but the material is plastic. I have no complaints as to the choice of material used in the construction. But the design is not symmetrical. The camera forms a hunch back and that make the mobile weigh more at the top. It is quite tricky to hold and use. The mobile tends to fall off from grip quite often due to the weigh imbalance. 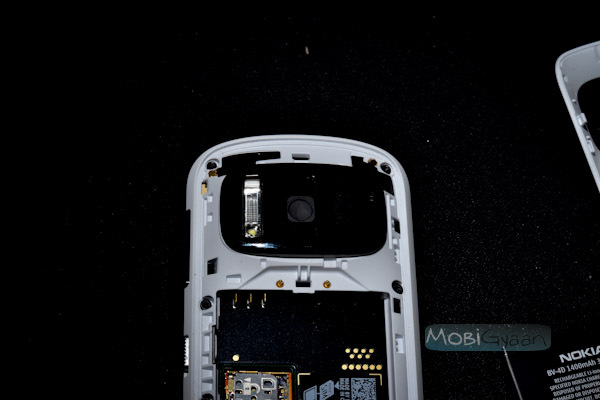 At the front, the mobile has the secondary camera along with the proximity sensor and the light sensor. The display is a 4 inch AMOLED with Gorilla Glass protection. The display is very good for viewing photos. The display has good sunlight legibility. The front also has the monolithic physical button. But there is no hardware back button. I feel that a disturbing factor, because the software back button is placed inconsistently across the UI. On the right, the volume rocker, screen locker and camera key are present. Pressing the camera key at any instant opens up the camera application in the mobile. The left side has no controls. All the ports are present on top. The HDMI, micro-USB and the 3.5mm jack. On the back is the ginormous 41 MP camera hump with the xenon flash. There is a small bump to enhance grip, but that barely helps. 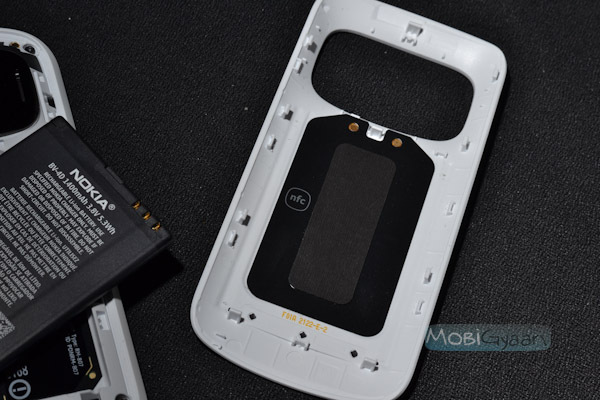 The battery cover has the NFC chip and removing the cover reveals the 1400 mAh Li-Ion battery. Underneath the battery are the micro SIM and micro SD card slots. 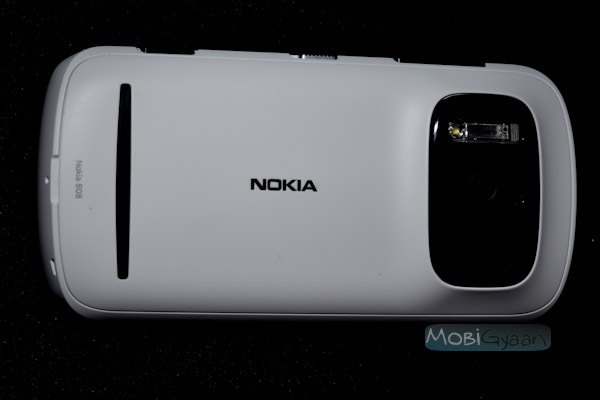 The Nokia 808 PureView is powered by Nokia Symbian Belle FP1. Maybe it’s not called Symbian anymore, but it’s still very much a Symbian at heart. The last time I used a Symbian was Nokia N95 and to my surprise Nokia has still retained a lot of UI from the N95. For instance the Calendar, Phonebook, it is still the same weak UI. But a lot of facelifts like the home screen widgets, Notification bar and the bottom line up of virtual buttons are all the Android influenced experience. The dialer and messaging application are great. Belle is definitely light weight and it feels faster and snappier than its previous version. Nokia Symbian has got a long long way to go to reach perfection. It’s not worth the journey and I would prefer to jump the Windows Phone OS rather than straying into the path with a weak OS. PureView on WP is the next thing to look out for. The music player interface is all modern with its cover flow inspired interaction. The playing interface is minimalistic. You can swipe to navigate tracks. The music player has equalizer settings along with Dolby effects. It also has an FM transmitter to play your music at home or car FM radio. I find this an option famous in Nokia mobiles, but do people really use it? The FM radio comes with RDS. Its interface is also very minimal like the music app. Overall the mobile packs in some great quality audio experience. The video player is awesome. It plays almost all known formats and famous codecs. It handles 1080p videos with ease. This device is poised to be a killer entertainer. 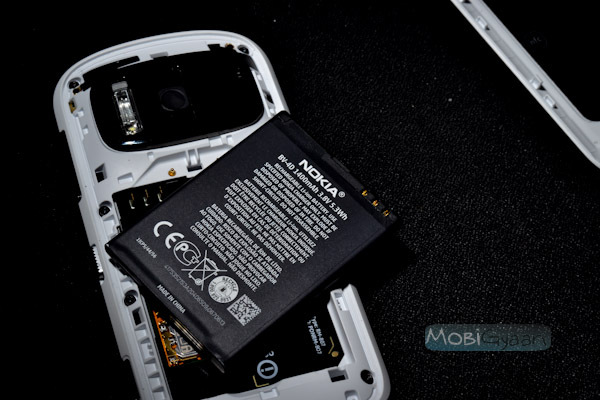 The Nokia 808 PureView is a quad band GSM/GPRS/EDGE and Penta-band 3G with HSDPA (14.4Mbps) and HSUPA (5.76Mbps) device. For local connectivity it has the Wi-Fi, Bluetooth 3.0 and USB OTG support. Wi-Fi is very choppy and unreliable. The device keeps dropping the connection and every application has its own settings of connectivity. They don’t take commands from the phone’s universal connectivity manager. Some app like the maps, don’t have the option to choose the connection and they get online with the define default connection. Bluetooth 3.0 is good with A2DP but lacks HS profile. USB OTG is too good. But again Nokia hasn’t us with OTG cable in the package. Once you get an OTG cable, you can connect almost any USB device to this mobile. And yes, there is NFC. 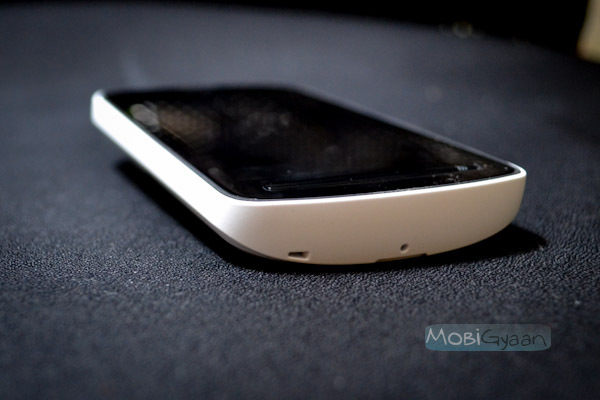 I didn’t get a chance to play with NFC entirely as it wouldn’t talk to my HTC One X’s NFC. So I can’t comment much. But this device is a beast on connectivity only a bit tough to tame. “Kitna Deti Hai…” For a country obsessed with mileage, the decision rests greatly on the battery life. 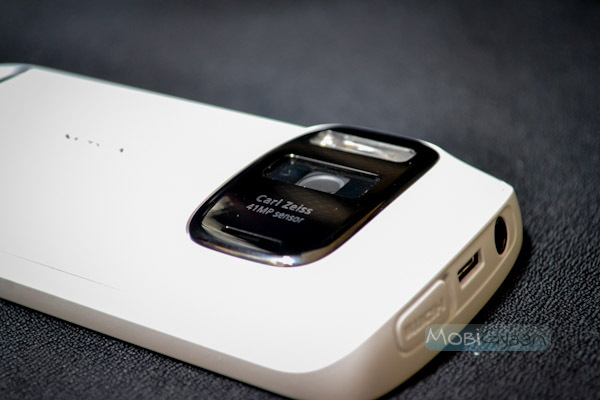 Nokia 808 PureView is powered by a standard 1400 mAh battery. The battery is very good for a Symbian smart phone, but when the camera is used generously the battery drains quickly. The Xenon flash cuts away a huge chunk of the battery capacity. Still there is nothing to complain here. 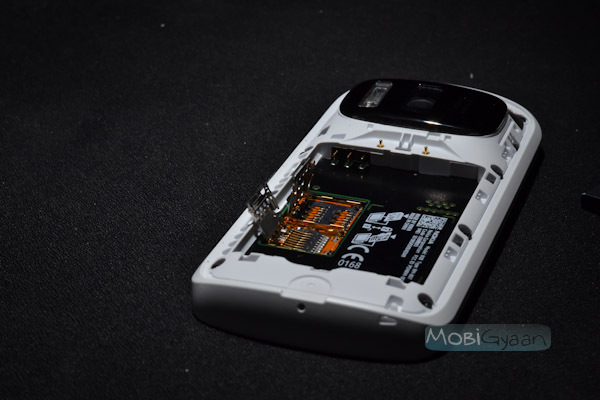 The device lasts for over 8 hours of rigorous usage on 3G network and with a lot of pictures shots. If the camera is used sparingly the device lasts for a little over a day, which is considered as better than the best in today’s trend. 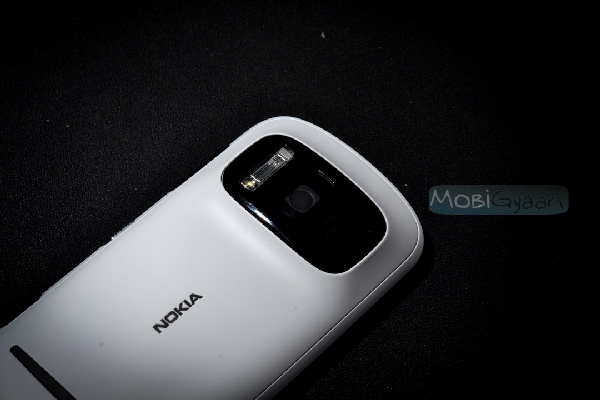 The Nokia 808 PureView is one giant leap forward. It is not the greatest of the smartphones, but it sure the greatest among the camera-phones. The 41 Megapixels camera on a Symbian could be considered as a proof of concept well executed. This has put in a lot of expectations for future lineups of PureView devices from Nokia. For now, this is one great device to hold on to and click brilliant snaps. For high-resolution images taken from the 808 Pureview, do check out our Flickr Stream.